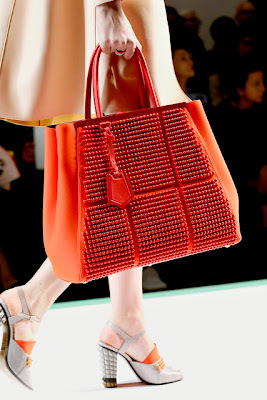 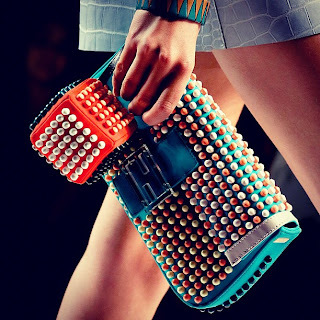 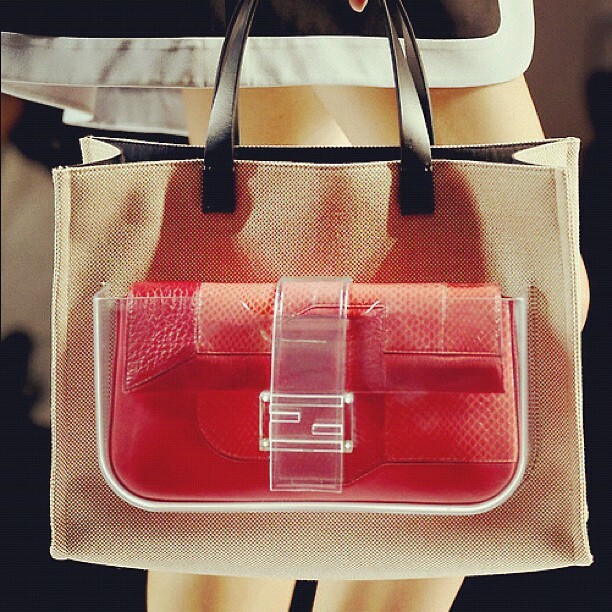 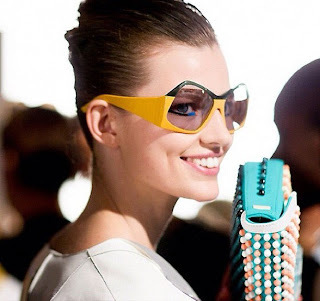 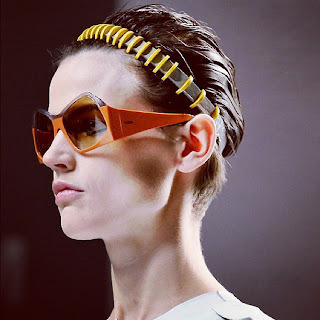 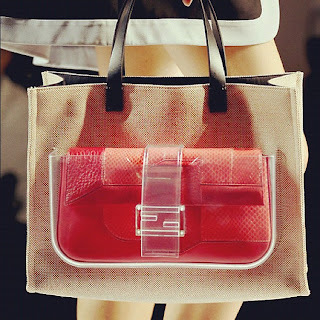 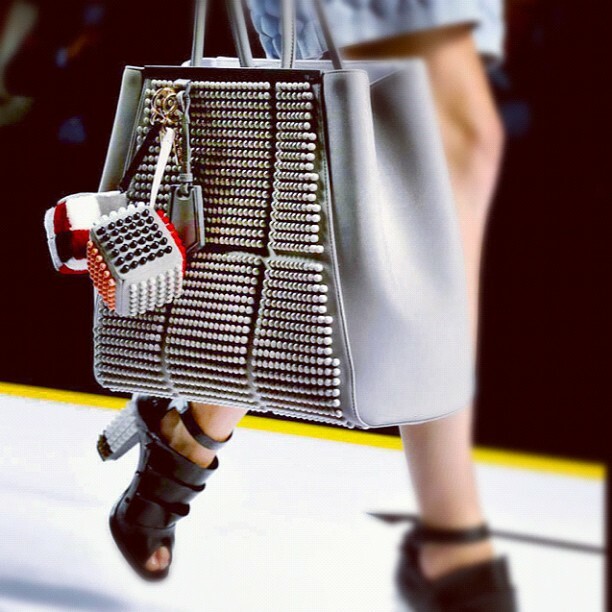 The clothes were good, but all eyes were on Fendi’s accessories at Milan Fashion Week Spring/Summer 2013. 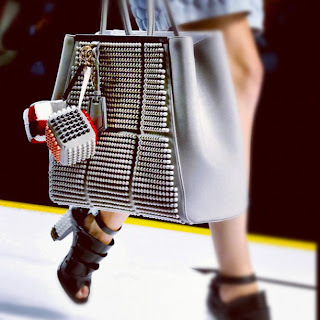 Fluffy dice and bold studded totes – it’s just too good!! 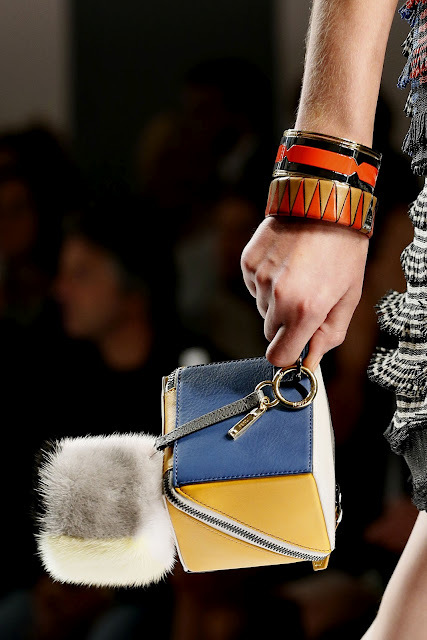 Go on Fendi, take our money…all of it.